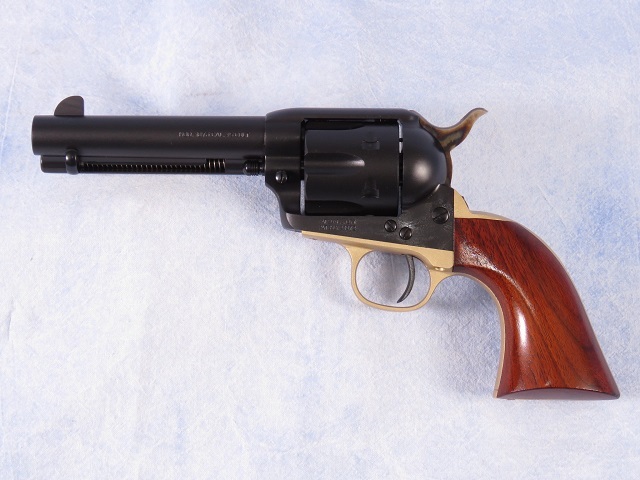 Uberti 1873 Cattleman Hombre single action revolver chambered in .45 Long Colt. This features a 4.75" barrel, brass trigger guard, and a black matte finish. Barrel Length - 4 3/4"